I’m looking at the JRPGs from last generation on my shelf: Final Fantasy X and XII, Persona 3 and 4, Digital Devil Saga, Skies of Arcadia, Grandia II, Shin Megami Tensei: Nocturne, Dragon Quest VIII, Kingdom Hearts I and II. The generation before that was arguably even better – Final Fantasy VII-IX, Chrono Cross, Xenogears and Panzer Dragoon Saga, to name but a handful – and the quality of the JRPGs on the SNES before that goes without saying. The Mega Drive was no slouch either – Phantasy Star, anyone? I think I’ve made my point. So what went wrong? It’s fairly obvious when you look at what a bloodbath this generation has been for developers; the costs of development make the vast worlds and sweeping quests of yore impractical. Prior to this, I’ve enjoyed Lost Odyssey, and already I’m having to stretch the definition of a JRPG to include titles like Valkyria Chronicles, Demon’s Souls and Dark Souls. The Wii had a triptych of notables under the Operation Rainfall banner for those who still have theirs hooked up, but those have the advantage of playing with the previous generation’s production values. Probably my most played JRPG of the last few years is my trusty DS copy of Chrono Trigger, which remains a staple of my portable gaming rotation. 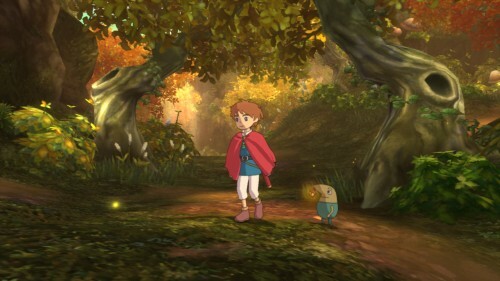 Ni No Kuni is proof that Japan’s RPG developers do still get it; that it can still be done. This is every inch a traditional JRPG, so traditional that it almost feels innovative these days, with towns, a vast map, caves and dungeons, a lengthy story, tons of characters, FMV cut-scenes, a colour manual and even a lavish special edition. 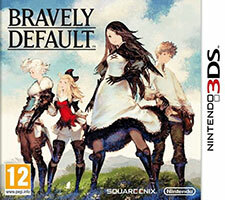 Admittedly, acting impressed that Level-5 with the backing of Studio Ghibli can get it done is a bit like praising Manchester United for winning a Sunday league game, and the days of small developers independently putting out epic productions are likely gone – someone please, please prove me wrong – but that doesn’t diminish the achievement of releasing such a shining example under these circumstances. 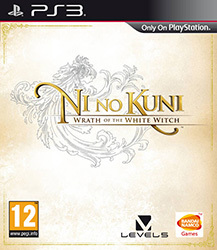 Prior to release, the superb reviews pushed Ni No Kuni to the top of the Amazon charts in several countries and ensured that the limited edition, which again breaks from this generation’s traditions by actually being limited, has sold out more than one batch before it even made it to store shelves. As I write this, it’s also managed to top the UK charts. 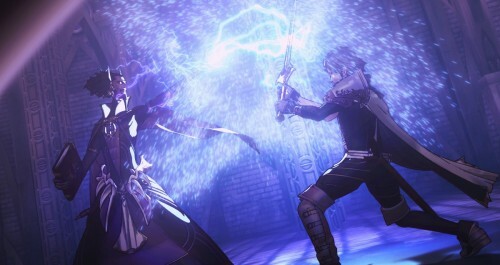 It’s heartening evidence that there still is a market for RPGs. Since the game’s only been out a few days, I’ve merely scratched the surface by putting in half a dozen hours, but what I’ve played has been both impressive and wonderfully nostalgic. I honestly haven’t found a JRPG that’s been so nice to simply exist in since Skies of Arcadia provided the cherry on top of the Dreamcast’s spectacular 2000.